Here's a little bit of Joseph's Grainery family history for you. This is the original cabin that the Myers family first built when they came to the Palouse region. 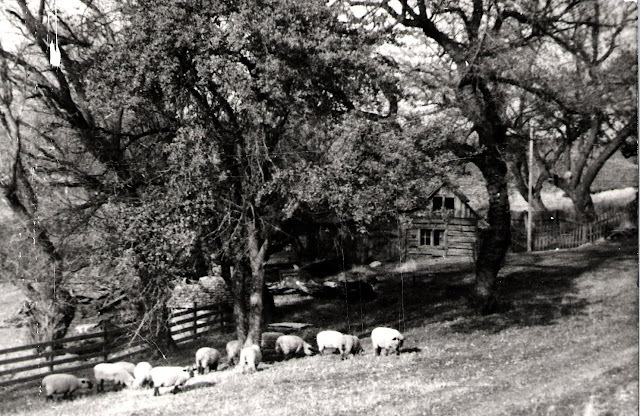 We call it our homestead...some family members still reside near the site of the original cabin today. When our ancestors built the cabin, they cut the logs up in the mountains and then floated them down the Palouse River and then hauled them to the farm with horses. Quite a trek for building supplies if you ask me!